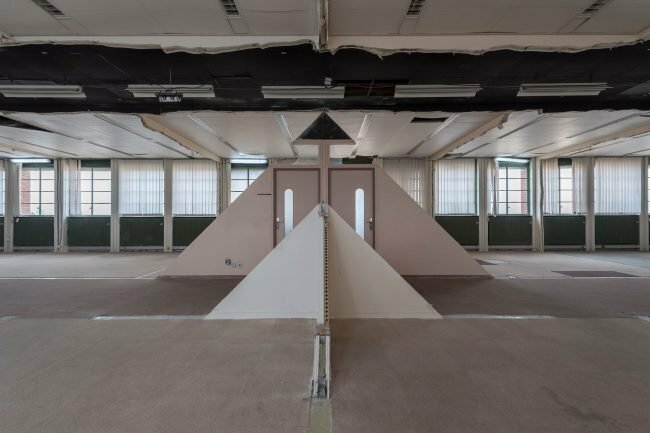 The Fondation FIMINCO is launching its call for applications to transdisciplinary visual artists of any age from across the world for a residency in research, creation, and production based in Romainville (Seine-Saint-Denis, France). A total of 18 artists will be selected, divided into two sessions: a first session with 9 residents to start in January 2020, and a second session with 9 residents in June 2020. The Fondation FIMINCO is a contemporary art space focused on international cross-disciplinary visual art located in Romainville, just east of Paris. It is dedicated to supporting multidisciplinary contemporary international creation through a program of residencies, exhibitions, performances, events, and workshops. The Fondation FIMINCO will open its doors in Fall 2019. The Fondation FIMINCO supports creation, research, experimentation, and production by contemporary artists. The residency program is open to visual artists from France and abroad, of any age, who have shown a significant professional development. Projects relating to the area the residency is held in (understood in the widest sense of the term: projects related to the institutions, organizations, communities, and researchers of Seine-Saint-Denis and Paris) and to its public are encouraged. The residency’s main goal is to provide artists with an ideal setting for their creative and research work. Artists will be guided by the Fondation’s team during their entire residency, and will have access to creative tools and conditions that enable collaborations within the Fondation and beyond it, group work, and more largely all types of exchange between its residents.The residency thus aims to build bridges between different art scenes and give artists the opportunity to confront their work to a variety of cultural, political, and social contexts, in order to enrich their practices and encourage the exchange of ideas. Groupe FIMINCO has long been involved as a committed patron in promoting the awareness of classical music, especially with its support of the Orchestre de Paris, the Festival d’Automne and the Festival des Villes des Musiques du Monde. In pursuing this goal, based on excellence, cultural discussion and communication, the Fondation FIMINCO constitutes a new leading international cultural and artistic hub in Romainville, right at the heart of the urban and social dynamics of the Grand Paris area, supporting emerging artists and being accessible to the wider public. For several decades now, the contemporary art scene has been undergoing a deep transformation, that has retraced new geographies of art across the world. The Fondation FIMINCO aims to guide and support emerging and established artists worldwide by drawing from this plural cartography and constantly evolving artistic diversity. The Fondation FIMINCO is located at the heart of an 11,000 m² space that brings together cultural players from both the public and private sectors. It is distributed over several buildings gathering working spaces and studios for residents and a 1,200 m² exhibition space. For more information about Fondation FIMINCO, please visit the website of the Fondation.